Have you ever wanted to change your identity? 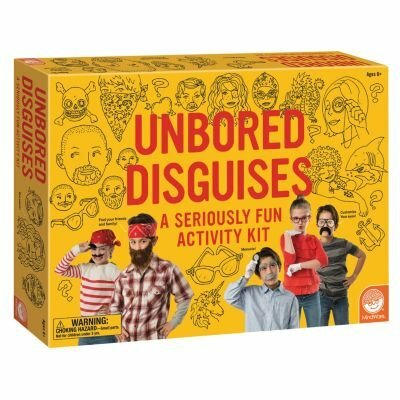 The popular UNBORED book series comes to life through this clever kit that will kick kids' creativity into high gear. 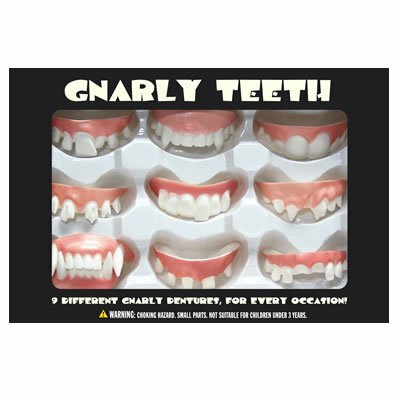 Packed with sideburns, mustaches and beards; glasses, gloves, gauze, an eye patch, fake teeth and temporary tattoos can be mixed and matched to make both serious and silly disguises. The 16-page instruction booklet includes bonus information on how to make fake scars and invisible ink. 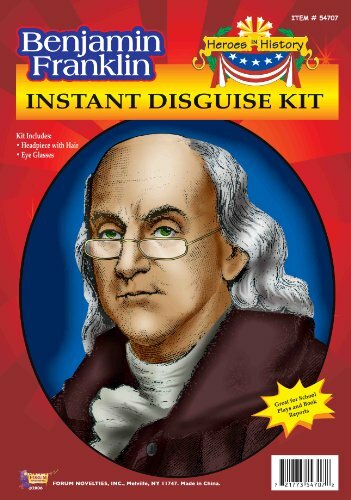 Dramatically change your appearance with the Ben Franklin Wig and Eyeglasses Kit! 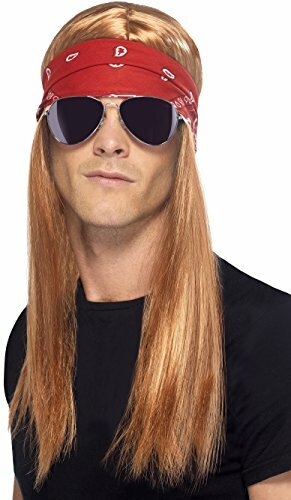 This item features a long gray haired wig with an attached bald cap. 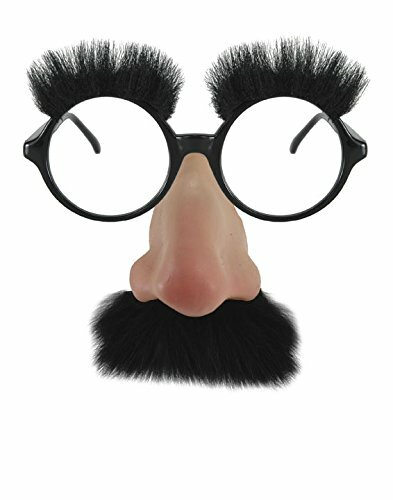 Authentic looking eyeglasses are also included, so you can replicate the iconic look of one of the most famous founding fathers of the US. The rum might be gone -- but your sense of style isn’t! The POTC5 Captain Jack Hand accessory kit is an officially licensed product. Package includes multi-colored, black, and beige lace layered hand wraps for funky pirate fun. Gold dragon and skull rings and a silver and faux emerald ring round off the look. Get your Pirates of the Caribbean accessories with BuyCostumes.com. 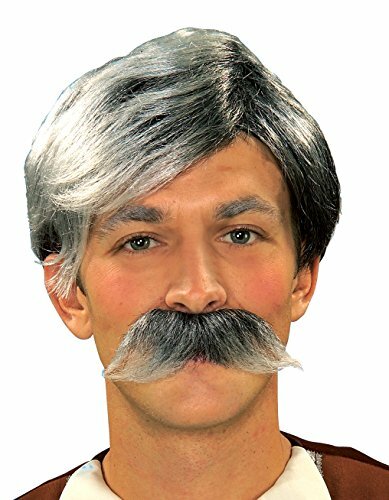 Get the distinguished mature look with the Grey Facial Hair Costume Kit With Sideburns, Mustache, And Goatee. Show off your liberal party pride with a pair of donkey ears. A donkey is the Democratic party's animal symbol, so represent your party on Halloween with a pair of bendable furry ears on a headband as well as a vinyl nose and teeth. These Halloween ears will show your friends who you voted for in the last election. Dress up like the Democratic mascot this Halloween. These deluxe black beard and moustache kits look like something right out of 12th century Japan! 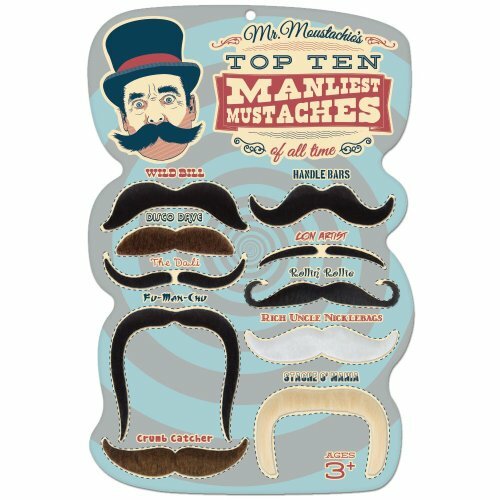 These are theatrical quality moustaches made of real human hair on quality netting and attached to face with spirit gum. Great for 1000s of costume themes from Samurai warriors and ninjas to sensei instructors and of course Chinese bad guys like Lao Che from Indiana Jones and the Temple of Doom! Great on their own and even better with the other costumes and accessories in our store! 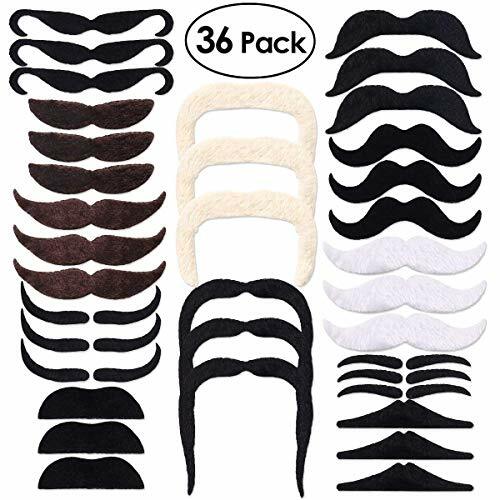 Includes hat, pair of gloves and self-adhesive faux mustache. One size fits most adults. Just the accessory you need for Halloween, parties, plays and other fun holiday productions and festivities! DISGUISING AS MAYOR'S BODYGUARD - Gmod DarkRP | Hitman Disguise Kit!